Adelaide Laneway Has Almost Landed! Aw yeah, it’s here again! Perhaps the last true Australian music festival, St. Jerome’s Laneway is back to give all of you tune-loving punters one to remember. While the national tour has already kicked off, the Adelaide leg will take place on Friday 8thFebruary (last minute sicky, anyone?). 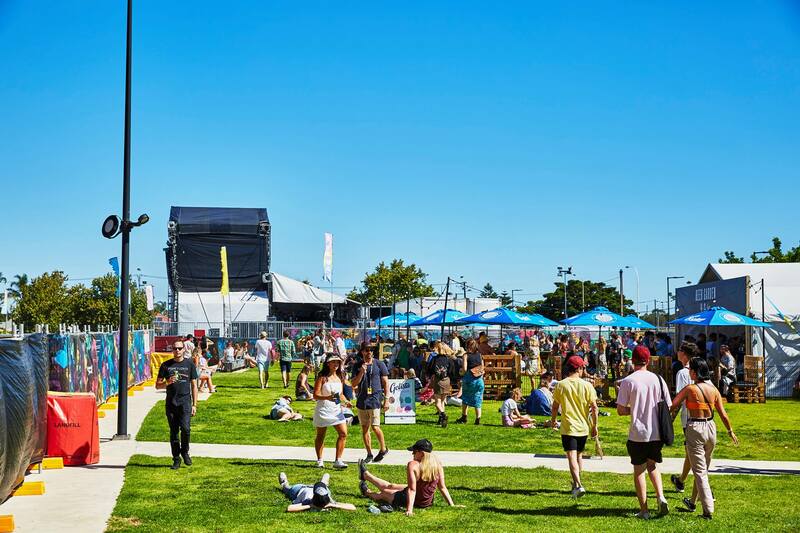 Once again situated at Hart’s Mill, this festival is known for pumping energy into Port Adelaide more than Kochie. Truly, this location is a ripper in itself—Hart’s Mill is an old flour plant that has been restored into what is now the cultural hub of The Port. It’ll have three stages, it’s historical, on the water, and it’s a damn fine place to dance. So who can you look forward to seeing? Well, you can’t go past Aussie-rock royalty, Gang of Youths, who cleaned up at last year’s ARIA awards. There’s no tighter live band than these guys on the circuit, while their exquisite frontman Dave Le’aupepe is bound to have you feeling things you may have never felt before. Keep an eye out for Northern Territory’s Young Australian of the Year, Baker Boy, whose multi-lingual rap is complemented by his unreal on-stage dance energy. Straight fire. He’s doing a whole lot for remote Indigenous communities too—we can undoubtedly get behind that. While we’re on the topic of Australiana, we suspect Courtney Barnett will be pulling in a sizable crowd on the day. Born in Sydney, lived in Tassie, residing in Melbourne, Barnett is proud of her background and is surely one of the most recognisable Aussie styles on the musical landscape. Crowd favourite, What So Not, is also here to get the tempo rising after dark with his ever-growing discography of bangers, while we highly recommend Cosmo’s Midnight for their own take on electronic joints. Perhaps we’re being a little bit biased name-dropping all the Aussie guns here this year, so it would be remiss if we didn’t tell you to also check out UK guru Jon Hopkins. Electronica with a heavy dose of ambience; his style is both infectious and mesmerizing. Hopkins will be our other headliner on the night. The entire day’s bill is too long to go through everyone, but we recommend checking out the setlist here to plan out your movements. For finding your way there, plenty of public transport will be running (either bus or the nearby Port Adelaide railway station are decent options.) Otherwise Uber could be a good shout—or UberXL if there are more than a handful of you. If you’re planning a big day, stay hydrated and sun-smart, look after each other, and remind the Australian pollies that festival crowds can be GREAT. Adelaide’s Laneway will take place on Friday 8th February. Head here for tickets and more info. Next articleBlame Gloria… who else?